The Environorth team provides all blind related services including repairs, installation and cleaning with specialized equipment by trained personnel! Our team offers friendly helpful and cost effective solutions to all of your ceiling, wall and blind cleaning needs. Environorth uses an ultrasonic cleaning machine that transmits high frequency sound waves which lifts all of the dirt off of your blinds. This is an extremely safe and effective method for blind cleaning which is recommended by all leading manufacturers as the preferred cleaning method for blinds. 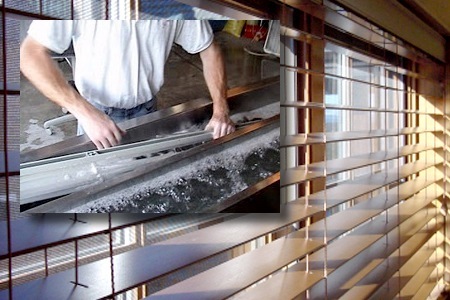 After 17 years of cleaning blinds we have witnessed all blind cleaning scenarios and are able to answer any cleaning questions quickly and effectively!